A while ago, online photo service website Pixum asked me if I would like to review a product of them. Pixum is a website which offers a wide range of services, you can share online photo albums, create photo books with online available software, create fun photo gifts, print photos in different sizes and of course create your own photo calender! 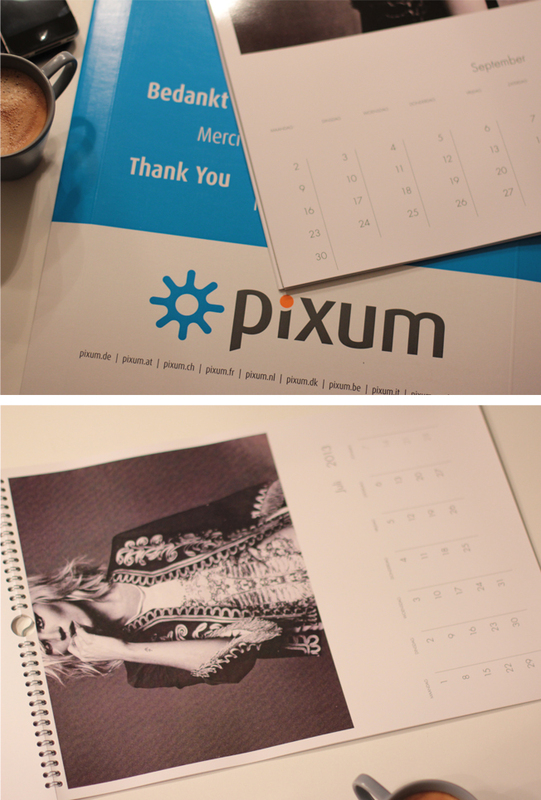 When I got the opportunity to test Pixums' services, I decided to create a fashionable photo calender. It's really easy to create your own calender and you can choose from different pre-settings, find them over here. 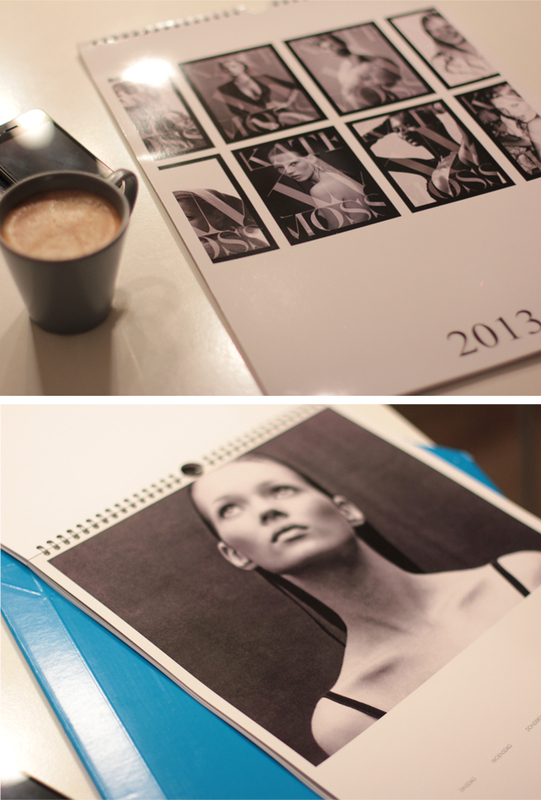 The calender I had made, starring Kate Moss during the last two decades, is quite clean and simple. 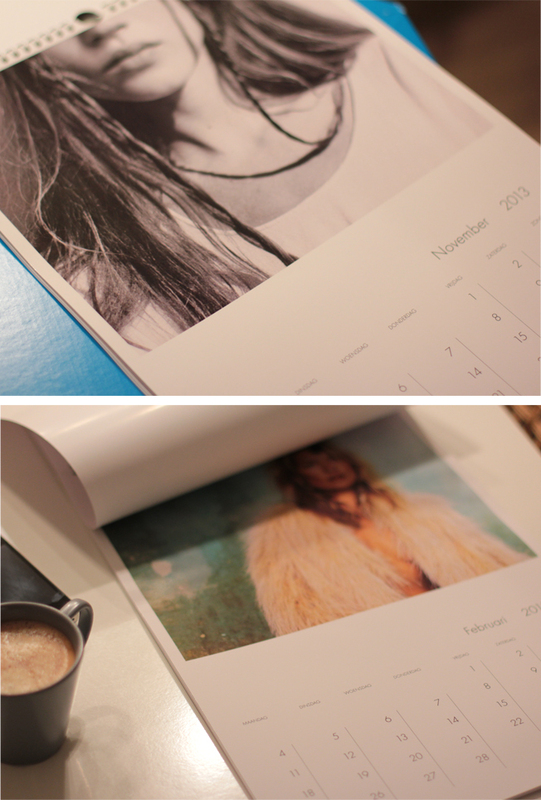 A3 size wall calender, glossy photo paper quality, great basic designs and the same neat layout on every page. I really like the fact that you can pick your own start date, so it doesn't necessarily have to start in January. They offer great quality and service for inexpensive products. They also have an international site and ship to almost every European country, so hurry up and order/create some personal Christmas presents at Pixum! Nice idea for a Xmas present !